Here's a nice article describing the US organisation, Law Enforcement Against Prohibition (LEAP), and its efforts to persuade more conservative parts of the US that prohibition is a failure. The story focusses on Lt Jack Cole, head of LEAP and speaker at a recent Santa Monica city council meeting to discuss an initiative to make adult cannabis use the "lowest priority" for the police. LEAP is made up of current and former members of the law enforcement and criminal justice communities who are speaking out about the failures of our existing drug policies - and calling for legal regulation of drug markets. The UK's LEAP co-ordinator is Eddie Ellison, former head of the Met drugs Squad and now a Patron of Transform. She must either believe or pretend, like so many drug warrriors, that with the imprisonment of these particularly vicious cartel members (who have actually not been free for years) the lucrative cocaine trade will somehow dissapear and that no other group of criminals could possibly think of taking their place. 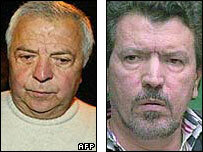 The brothers took over the trade after the high profile killing of Pablo Escobar, after which similar triumphant claims were made back in 1993. However welcome it is to see members of such a violent cartel imprisoned, the fact remains that it is drug prohibition that created the cartels in the first place and there will always be criminals lining up to sell prohibited substances if the demand - and billion dollar profits - exists. Non of these high profile busts have ever had the slightest impact on global production of cocaine - which today is cheaper and more available than ever. Theres only one way to put them out of business for good - and it doesnt involve high profile 'get tough' enforcement tactics. This article, from the Daily Herald on the 23rd September 2006 reports that the proposals by Professor Neil McKeganey, director of the Centre for Drugs Misuse Research at Glasgow University, randomly to test teachers for drugs have been rejected by unions at unethical. Here's some good news for Derby with a drug treatment centre staffed with one full-time GP and 10 visiting doctors due to open on the 2nd October 2006. According to this article from the Times on 21st September 2006, prisons in Scotland will be trialling personal drug-taking kits for prisoners after a report by Glasgow Caledonian University into drug use and harms in Scottish prisons. The programme will be based on needle exchange schemes in Germany, the Republic of Ireland, Spain and Switzerland which have dramatically reduced rates of HIV and hepatitis transmission. This Scottish scheme is to be welcomed as a significant and pragmatic adoption of a harm reduction measure which will hopefully be rolled out across the UK's prison service. Here he suggests that drug prevention may include random drug-testing, but only on a trial basis to determine whether such schemes might be effective or not. He bemoans the absence of empirical evidence in existing drug prevention strategies and notes the ambiguity of much US "evidence" for or against drug testing. On this he is doubtless correct, as the recent ACMD report has stated, the evidence base for the effectiveness of drug testing is extremely poor. "Drug testing, though, raises complex ethical issues. For example, whether young people can give their informed consent to be tested, whether testing impinges negatively on the teacher-pupil relationship and, perhaps most crucially, how you respond when a young person tests positive for illegal drugs." "There are difficult questions to answer, but they are not so difficult as to rule out even trying to see if drug testing is an effective method of drug prevention. And if drug testing were effective would that mean we were effective would that mean we should mount a national scheme of regular testing? The answer to that question is no." "What it would mean is that we could then begin a debate as to whether the ends justify the means, knowing that drug testing is at least one way of reducing teenage drug use." So he appears to be saying that the ends (ie reduced drug use - for which he thinks there is no evidence) might in theory be justified by the means (unethical testing). Drug testing in schools, as Tony Blair's launch of the idea in a big News of the World splash last year shows, has always been a policy led by political prerogatives rather than evidence (the pilot testing scheme was part funded by the news of the World and the makers of the testing kits...hmmm). Ethics, however, can't be bypassed, even in the name of evidence gathering. The Daily Telegraph on the 15th September 2006 have here qualified the NATO campaign in Afghanistan as counter-productive in both reducing the supply of opium and in stabilizing the region. Comments by Kim Howells, a Foreign Office minister, focus on the "instability" of the region as preventing effective counter-narcotics programmes whilst the article itself highlights that it these very counter-narcotics programmes which have encouraged Afghan farmers to back the Taleban and thus increased the "instability". A report by Scotland Yard, discussed in the Guardian on the 18th September 2006, reveals that black people are far more likely to be caught and charged with cannabis possession than white people. The report's findings have provoked renewed charges of racism in the Metropolitan police force since even the authors of the study can find no clear reason for the disproportionate numbers of black people charged with possession. The Sunday Times here reports that schools across Scotland are to use sniffer dogs in random raids. The Scottish strategy here is clearly at odds with the recent findings of the Advisory Council on the Misuse of Drugs which states in its recent report that "drug testing and sniffer dogs should not be used in schools". The Council based their recommendation on vital issues such as the pupil-teacher relationship which could easily suffer a further deterioration with random drug-testing and sniffer dogs. This might lead to more truancy rather than fewer drugs. In their well-intentioned eagerness to reduce drug-taking amongst the young, Scottish politicians and teachers risk alienating rather than informing the young. UN Cannabis Report Makes Case for Legalisation? This analysis in the Baltimore Chronicle by John Hickman argues that buried in the United Nations Office of Drug Control's (UNODC) "2006 World Drug Report" is an inadvertent case for ending cannabis prohibition. Although the authors of the report call for cannabis consumption and production to be treated as serious problems their review of the plant as a relatively low risk and inexpensive intoxicant whose global consumption and cultivation is very widespread is a contradiction which John Hickman is right to highlight. Of course, rather than getting on his cannabis hobby horse Hickman could have pointed out that the evidence for global prohibition generally looks very bad indeed somethinhg that even the spin in the UN report cannot disguise; that drug use continues to rise, and attempts to curtail production and supply have catastrophically failed. That's the real contradiction in global drug policy - it's been completely counterproductive, increasing harms not reducing them. The whys and wherefores of cannabis are a distraction in many ways - and its harmfulness or otherwise is very much not the issue (or really in dispute). His article does however rightly point out the failure of journalists to read in its entirety the report and instead to focus on the press release. It would be good if he had actually talked aboutthe entire report himself. 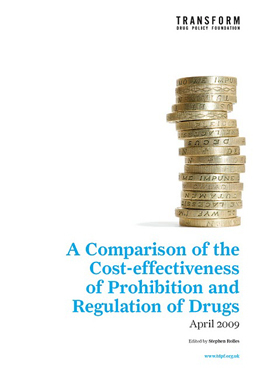 ACMD new report calls for review of the drug laws! In a surprising but welcome development for a group of scientists appointed by the Government, the Council has produced some useful analysis and makes a series of positive recommendations, many in conflict with Government policy and rhetoric. As Transform has observed (in recent briefings and Select Committee evidence on the ACMD and the drug classification system that it oversees see here ) the reports the ACMD produces are excellent - it is the questions they don't ask about the efficacy of prohibition that are the problem. 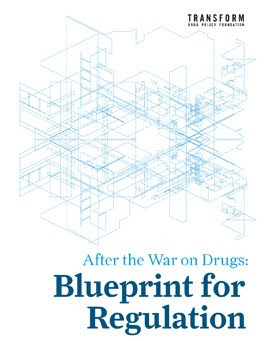 To some extent this report offers a degree of redemption for ACMD, after a recent critical panning over its unscientific approach to the classification system and a history of avoiding engagement with more politically contentious areas of drug policy. Still a long way to go, but real progress none the less. All seems fairly sensible and obvious really, but these issues are rarely raised and its great to see them getting an airing. Transform are particularly pleased to see the call for bans on advertising, better enforcement of existing regulations, better research, and an integrated approach to drug prevention - things that we have been publicly calling for many years. Let's hope the Government pays attention - you would hope they will, given that the ACMD exists purely to provide expert advice to Ministers. "As their actions are similar and their harmfulness to individuals and society is no less that that of other psychoactive drugs, tobacco and alcohol should be explicitly included in the terms of reference of the Advisory Council on the Misuse of Drugs"
Its may seem remarkable that the Council does not already have the two drugs that cause the most harm to society (by a vast margin) already within their remit, but this is a historical quirk of the fact that the ACMD is set up within the Misuse of Drugs Act, which obviously does not include alcohol and tobacco. Quite where this line of thinking is leading isn't clear. Is the council suggesting that alcohol and tobacco should be prohibited and brought within the MDA? presumably not. But this call will continue to emphasise the untenable legal distinctions between legal and illegal drugs - hopefully pushing the debate to its inevitable conclusion - that it is the drugs under the MDA that need to be removed and legally regulated, rather than the other way around. - There is a very clear statement that sniffer dogs and drug testing 'should not be used in schools'. This is hugely significant, since it is in direct contradiction with a major policy initiative launched by the Prime Minister himself in a blizzard of tough talking populist rhetoric in the News of the World (and other media) last year. This is a triumph for pragmatism over drug war rhetoric ideology - the Council don't think these initiatives are supported by evidence of effectiveness and say so. Where this leaves the policy is moot - but it will be hard for any minister now to take it forward. This has been Transform's position, and that of Drugscope, Release, lifeline and other major drug agencies, from the outset. - In chapter three (on drug availability and the impact of policy on it) there is a very clear acknowledgement that supply side interventions have not reduced supply or availability, summarised thus: 'intervening in illegal drug markets has not been clearly shown to influence the patterns of drug use amongst young people'. Think about this for a moment - this is the Government appointed body of experts set up under the Misuse of Drugs Act, saying in crystal clear terms that prohibition does not work. More interesting still is the policy recommendation that follows from this analysis that: "the current arrangements to control the supply of illegal drugs should be reviewed to determine whether any cost-effective and politically acceptable measures can be taken to reduce their availability to young people". On the one hand this is diplomatic officialese that Humphrey Appleby of 'Yes, Minister' would be proud of, yet on the face of it, this innocuous sentence dangling from the end of chapter 3, offers a real nod towards reform. Why the scientists and experts on the council should be so concerned with political acceptability is curious, hinting at the politicisation (that the recent Science and technology Select committee recently alluded to) of what should be "an independant [sic] expert body that advises Government on drug related issues in the UK". None the less - if the ACMD is calling for a review of the legislation under which it is established that is great news, albeit about 35 years too late. If this happens, it could be the beginning of the end for the sorry old Misuse of Drugs Act. Lets hope it does. This article, published on the 14 September 2006 on the BBC website, reviews approaches to preventing children from taking drugs, including the random drug testing adopted by Kent County Council. It reports that since 2003 every secondary school in England has needed a drug policy which Ofsted has recently criticized for not placing sufficient focus on the social implications of taking drugs. Presumably they mean the negative social implications of taking drugs as opposed to the widely appreciated benefits of certain drugs in social situations. The article then examines the random drug-testing approach adopted by Kent County Council which may benefit pupils in the short term but may not encourage personal responsibility for later in life. This article, published on the 14 September 2006 on Channel4news.com, describes a report by the Advisory Council on the Misuse of Drugs on the UK as a "nation of binge-drinking, cigarette-puffing, drug-taking hedonists". The reports' authors call for curbs in advertising and changes to the drink-driving laws for the young. However the government immediately rejected the proposals. Calls by the UN for NATO to step up its campaign against opium production in Afghanistan have thankfully been rebuffed by this military organisation as it rightly fears increased counter-narcotics operations would produce a backlash amongst the Afghan people. The opium poppy is one of the few successful crops in the region and increased measures to eradicate virtually their sole means of income would be bound to encourage Afghans to fight with the Taleban who have tactically co-opted the opium farming community to their insurgency. The article greatly illuminates the appallingly one-sided approach of the UN to the drug problem. The Executive Director of the U.N. Office on Drugs and Crime,Antonio Maria Costa, "warned it meant increasingly pure heroin would reach Western users and was likely to cause a surge in lethal drug overdoses" and warning that the consequences of failure would be severe for drug consuming countries. The request for NATO to dismantle the heroin producing laboratories and bring to justice the big traders blithely dismisses the problems of survival for the Afghan people. How are they to survive without the income from this, their only effective crop? It seems incredible that an organisation such as this can utter such ill-conceived demands on an already overstretched army. Such a policy would be bound to drive the Afghan people more firmly into the hands of the Taleban as the existing Western counter-narcotics programme is already achieving. The best solution, surely, is for the West to co-opt the Afghan farmers and drug lords by buying up all the opium at satisfactory prices and using it to fill the absurd worldwide shortage of morphine. This article, from the Independent on the 10th September 2006, outlines the drooping prices for many categories of illegal drugs as supply has surged to meet burgeoning demand. The information has been gleaned from a survey of more than 2,300 people and is to be released in a report by the charity, Drugscope. The detail of the article is fascinating with astoninshing profit margins reported for most classes of drugs. According to this article, published on the 9th September 2006 in the Daily Telegraph, the annual meeting of the representatives of UK magistrates in November will be debating the downgrading of Cannabis to a Class C drug. According to the article magistrates are worried that young people are increasingly "hooked" on cannabis and are turning to crime to fund their habits. They therefore are seeking to change the classification of Cannabis back to a Class B drug. Although there is no evidence whatsover that the classification system has any effect on the drug consumption mores of the young, the motion by the JPs to reverse the reclassification reveals a complete failure to absorb the findings of the recent cross party Science and Technology Select Committee which found there was no link between drug classification, deterrence or prevalence of use. This article, published on the 5th September in the National Post (www.canada.com), focuses on the benefits and legal contradictions on Cananda's safe injection site, Insite. Although the legal injection room has very obvious health advantages for users in that needles aren't shared, the spread of disease is kept low, the dangers of overdosing are minimised and advice for stopping is provided Canada still has a problem with the site because it flouts the law prohibiting drug use everywhere else in the country. This article, published on the 4th September 2006, reports on the benefits seen by the Swiss of their heroin assisted treatment programmes which has drasically cut new users of the drug. One researcher, Nordt, explains that the medicalisation of the drug and its use has discouraged potential new users of the drug. All glamour is removed in the medical setting so that users are no longer seen as rebels but losers. This is a very positive development for both users and those who deplore drug use. This article from Interfax, published on the 6th September 2006, describes the Russian Radicals group seeking the legalisation of lighter drugs such as marijuana. This group is also seeking to end the teaching of Basic Orthodox Culture in Russian schools. It seems surprising and perhaps counter-productive that they describe themselves as radical as their policies seem thoroughly rational. This article, published on the 30th August 2006 in the Anchorage Daily News, discusses the absurd and costly legal attempts by a high school in Alaska to defend its actions against a former student who had waved a banner with "Bong Hits 4 Jesus" on it as the Olympic torch relay passed through Juneau. The school confiscated his banner and suspended him even though he "wasn't on school property, wasn't at a school-sponsored event, wasn't under direct supervision of school employees and wasn't representing the school in any way imaginable". The young student, Joe Frederick, then claimed that his First Amendment right to free speech had been violated and the 9th Circuit Court of Appeal agreed with him. However the school is trying to take the case to the Supreme Court. Let's hope the so-called free world defends the First Amendment. This article, published on the 7th September 2006 in www.chron.com, highlights the gruesome violence which is gravely endangering the stability of society in Michoacan state. Recently the decapitated heads of 5 gang members were thrown onto the floor of a packed nightclub in the city of Uruapan. So far this year 1,500 people have died owing to the violence used by criminals to defend their illegal trade. The violence is intimidating the police force which is widely viewed as corrupt. Officials have blamed the rise in violence on their own success rates in curbing the trade in illegal drugs, on the black market in firearms and on the increasingly lucrative trade in methampthetamine. Unfortunately nowhere in the article is any mention made of the main cause for all of this which is prohibition itself. This article, published on the 2nd of September 2006 on the website for Radio Free Europe, reveals that a senior US counter-narcotics official has warned that the state of Afghanistan risks turning into a narco-state such is the vast increase in opium production this year. This is another triumphant endorsement for the US and UK strategy in attempting to eradicate the trade. The more the West seeks to clamp down on opium production the higher the level of production becomes. Has anyone told the counter-narcotics agents that there's a worldwide shortage of morphine, a vital medicine, derived from the opium poppy?